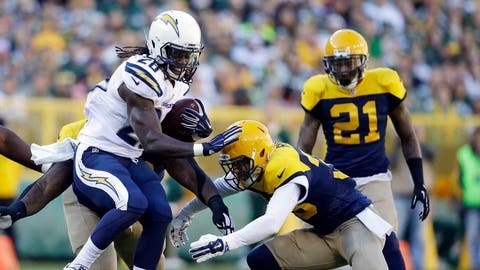 Melvin Gordon knows his two weaknesses -- ball security and an injured ankle -- could both come into play vs. Oakland. Melvin Gordon injured his ankle and his pride in the Chargers' sixth game. He left Green Bay with two fumbles and a limp. It's only natural that the Raiders will try to exploit both issues this Sunday. “I’ve got to understand that, and I’ll be clean on that,” Gordon told ESPN's Eric D. Williams.